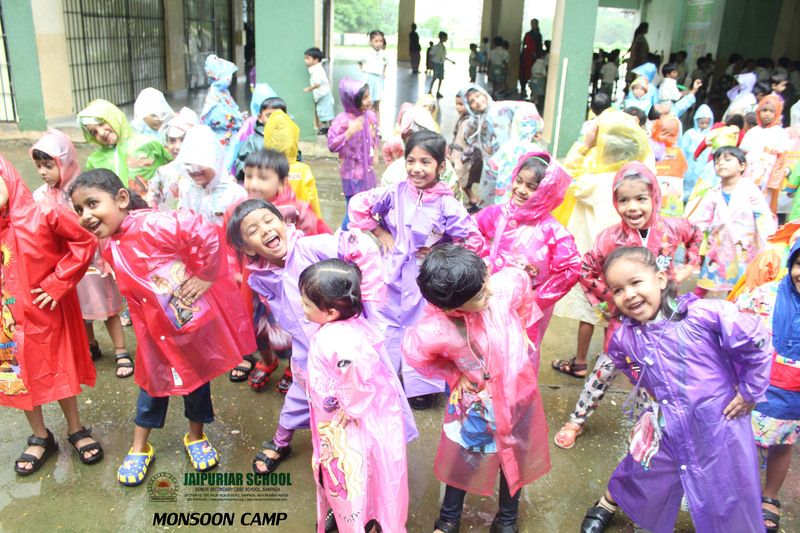 The teachers of Pre-Primary section organized Monsoon Camp on 16th July 2018 in the school. 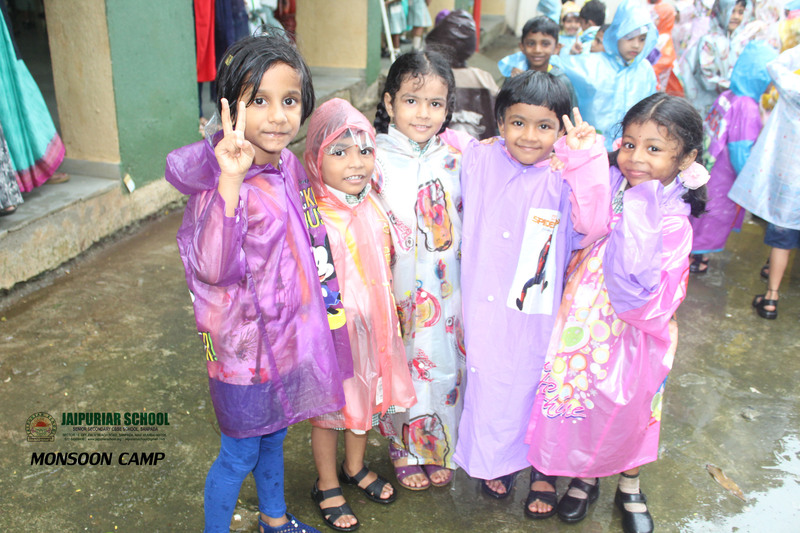 This monsoon camp was held to enjoy the rainy day and students were informed to wear colourful dress and asked to bring snacks relate to monsoon season. 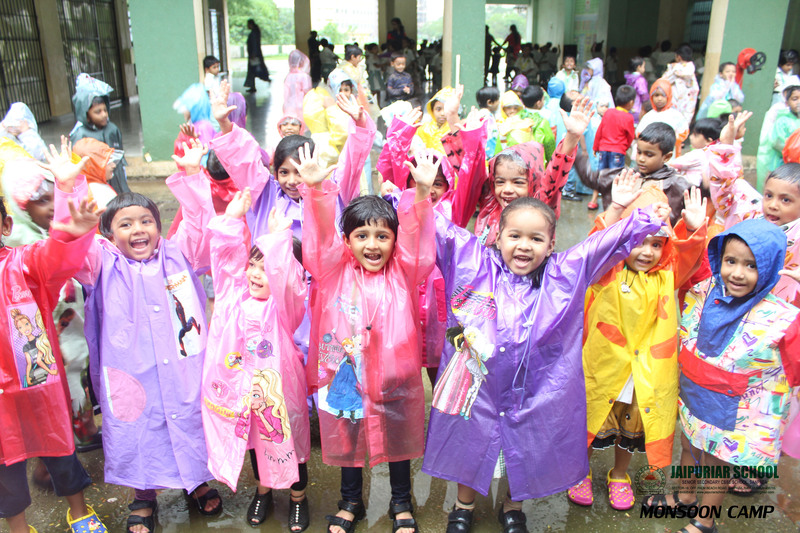 Teachers first introduce to the students about the relevance of rainy season. 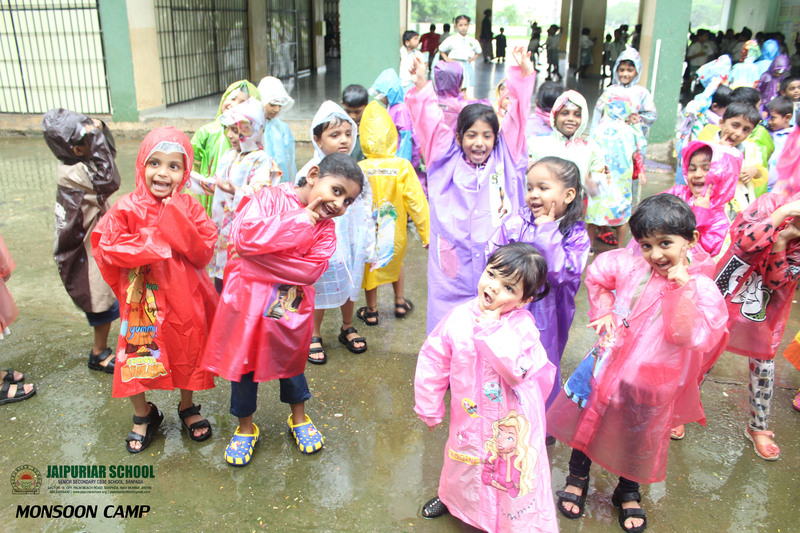 They also explained about rainy wear and rainy creatures we found during rainy season. 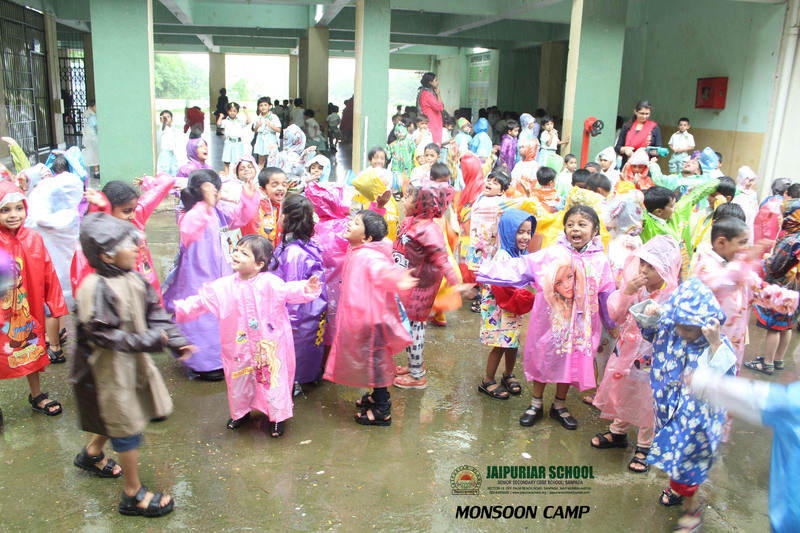 Teachers on the day of monsoon camp made the students wear their raincoats students were very excited to dance under the cool shower of rain. Teachers and Co-ordinator ma’am also joined with students. 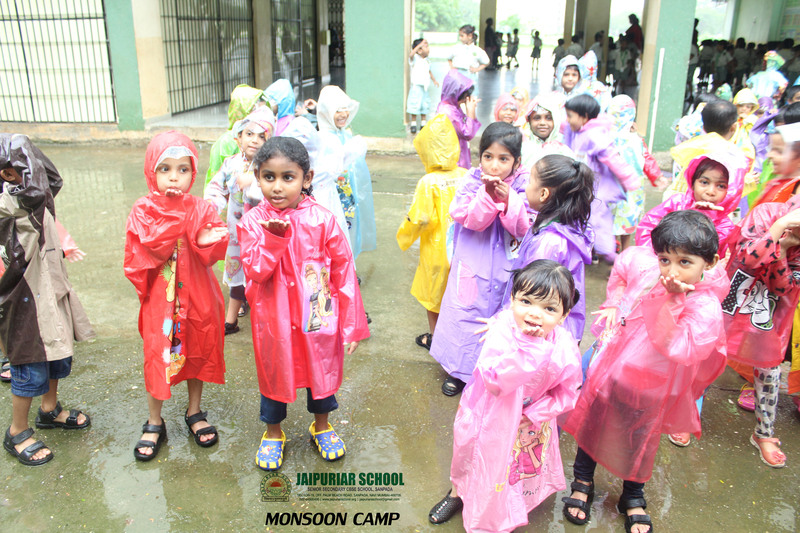 Students were enjoying rain dance with teachers on the vibrant music which was being played. After sometime students were brought to their respective classes. After their energetic rainy dance students had their delicious snacks e.g.- Corns, Pop-Corns, dry snacks etc. and also shared with their friend’s. After snacks time teacher conducted activity in their respective classes. 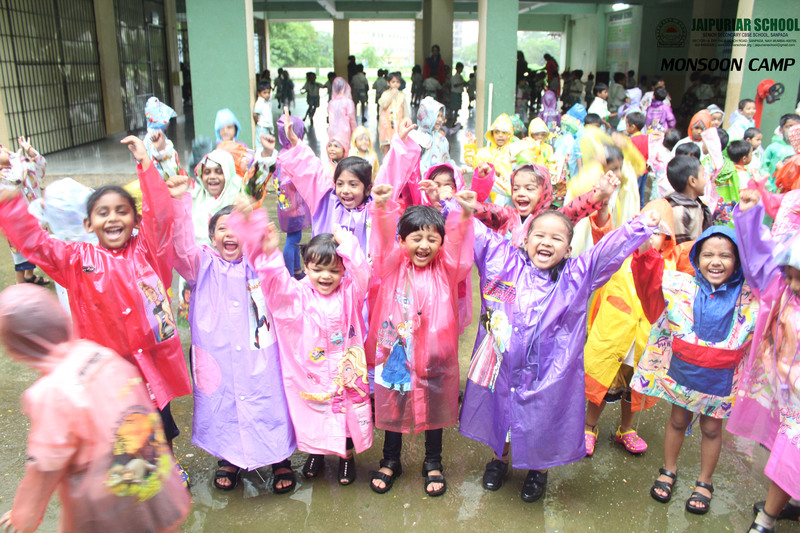 Activity was related to rainy season. The following activities were conducted. Senior Kg- Rainbow with clouds. The day ended with happy note.